All our partner sites are independently reviewed by our team of industry experts. We examine 10 different criteria and award a score out of 10 for each, adding up to a final mark out of 100. You can read a full description of our 6Black Casino review process here. 6Black Casino received a score of 87/100. 6Black Casino is a new addition to the UK gaming market in 2017. It boasts a slick and classy design, featuring black-tie croupiers and glossy pictures of roulette wheels and casino chips. 6Black offer a wide range of slots, table games and live dealer tables, from suppliers like NextGen, Betsoft, Amaya and Thunderkick. 6Black promise to put the customer first and they back these words up with a very generous sign up bonus across the first three deposits that totals up to £1,500, plus 24 / 7 customer support, on email, phone and Live Chat. They also offer a wide range of payment methods that includes Paysafecard, Skrill, Neteller, Trustly and, unsually for the UK, Bitcoin. For high rollers there is a VIP club with perks like a dedicated VIP manager, faster withdrawals, higher betting limits and exclusive promotions. For regular players there is a whole raft of promotions including bonus and free spins offers every week. Like its sister site, Casino Napoli, 6Black is owned and operated by Alpha Interactive Solutions N.V. with a license from Curacao. At 6Black new casino players get welcomed through the door with a massive sign up bonus package. The full deal is up to £1,500, and that includes a very impressive 300% match on the first deposit, up to £500. The terms and conditions state that you must wager 40x the amount of the bonus plus the deposit. Slot games contribute 100% to these requirements, and table games just 10%. You can also pick up an additional 15% bonus on your first deposit if you choose to pay by Neteller, Skrill or Postepay. To receive this bonus your deposit must be at least £20 and your bonus will have a 25x wagering requirement attached to it. Further to the 300% match bonus on your first deposit, as a new customer you will also be eligible to receive a 100% match up to £500 on your second deposit and 250% up to £500 on your third deposit. Again, as a UK customer your bonus will be subject to a 40x wagering requirement. 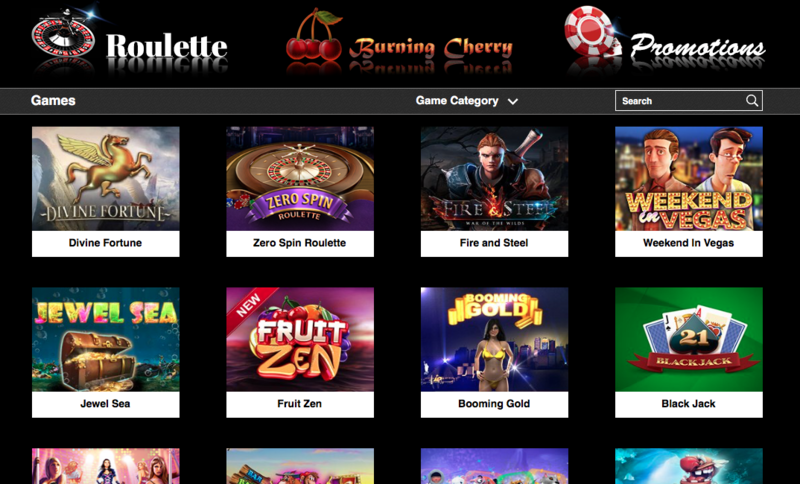 There is a massive game catalogue to enjoy at 6Black, though the emphasis here is on slot games rather than table games, and the live dealer suite features just 4 blackjacks, 4 roulette and a Baccarat table. For slots lovers though, there is a lot to get excited about here, with a vast catalogue featuring titles from some of the biggest suppliers in the industry. 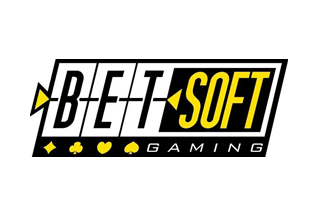 Highlights include Betsoft’s The Slotfather Part II, Sin City Nights and Giovanni’s Gems, and Playson’s Fruitful Fiesta, and Alice in Wonderslots, Spinomenal’s Nights of Fortune and 9 Figures Club. The only disappointment is not finding anything from big hitters like NetEnt, Microgaming and IGT. The suite of Live Dealer games available to play here is limited, and with only Blackjack, Roulette and Bacccarat to choose from. Hopefully in the future the team at 6Black will be adding more games and dealers to the mix. On top of a very generous sign up bonus for new customers, 6Black promises an exciting set of rewards for existing players that includes many free spins, cash drop and deposit bonus offers. Remember, if you are a big spender, this could be a great casino for you, as they offer some great incentives in their VIP club as well. See the site for full details. The team at 6Black make a big deal out of their dedication to providing top quality customer service. This is reflected in a very generous bonusing plan, plus an excellent support center with comprehensive FAQs, live chat and phone support 9am and 10pm daily. There is also an email support service. There is a wide selection of payment methods available to 6Black players alongside the traditional debit and credit cards. So, customers can choose from eWallets Neteller and Paysafecard, as well as mobile payment system, Skrill and other options including Sofort, Wire Transfer and Western Union. 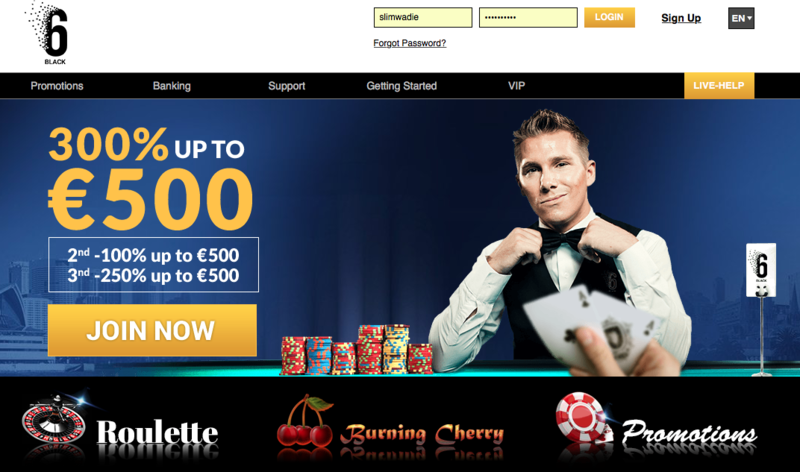 The 6Black casino site is simple and easy to use, with the key touchpoints of games, support, account and registration all just one click away on the home page. You can browse games by type and by game provider as well. 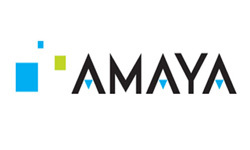 So, if you’re familiar with the name of the studio who created your favourite game then it’s easy to find. The 6Black casino looks great on all devices – mobile, tablet and desktop. The games all render perfectly for mobile players as well, and if you’re keen to play on the go then there are a set of dedicated promotions available for you too. 6Black casino is licensed from Curacao and adheres to the guidelines laid out there inregards to fairness and security.